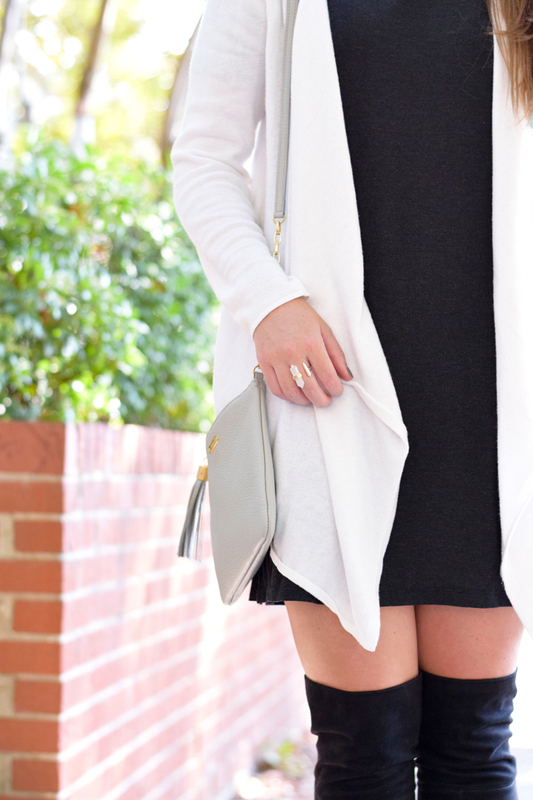 With all the eating and drinking last weekend this was my go-to outfit... A t-shirt dress with an easy sweater and OTK boots! More than enough room for a glass of wine and some turkey while staying warm and cozy. 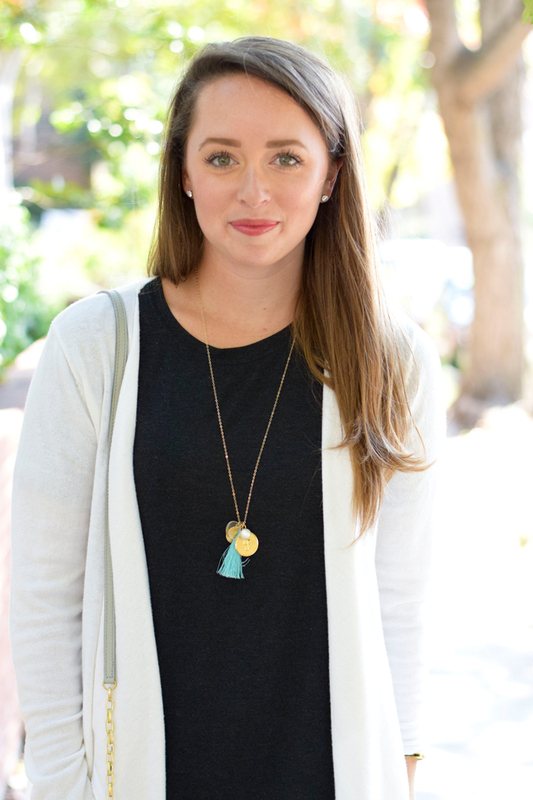 I made this personalized tassel necklace in Charleston this summer and have been wearing it all the time. It would make an awesome Christmas present :) You could also create a bracelet - they have tons of charms to choose from! 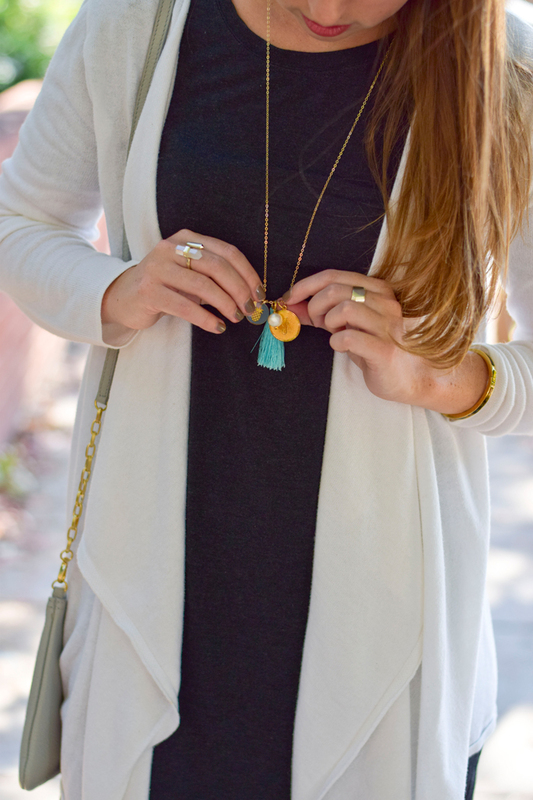 Such a perfect look for fall! Love your boots.